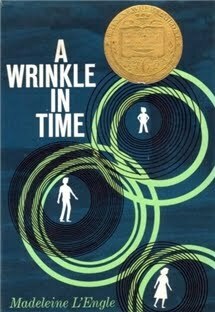 My recent experience with Madeleine L’Engle’s A Wrinkle in Time was a good reminder of why I should get back into the habit of rereading: my appreciation for the book deepened considerably on a second reading. I enjoyed it a lot the first time around, but this time there was even more to it than I remembered. The characters grabbed me more; the writing stood out in ways that it hadn’t before. This isn’t to say that I found it perfect, but it’s the kind of book I’ll happily spend a long time thinking about and trying to engage with. I reread it so I could write a post about Mrs Which for the novel’s 50th anniversary celebrations. Revisiting the story while paying particular attention to the role one of the characters plays in it was a new approach for me, and something I really enjoyed doing. But of course, it didn’t exhaust all the things I wanted to say about A Wrinkle in Time, so here you have them: all my extra words.